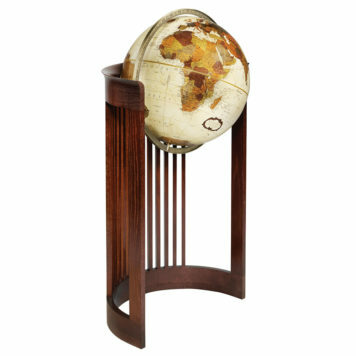 In 1911, Wright created designs for Booth Park in Glencoe, IL. 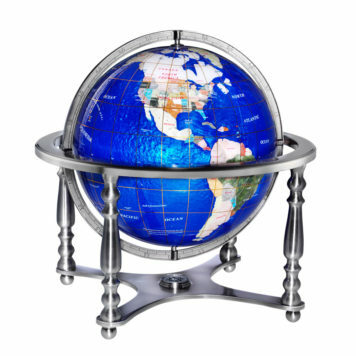 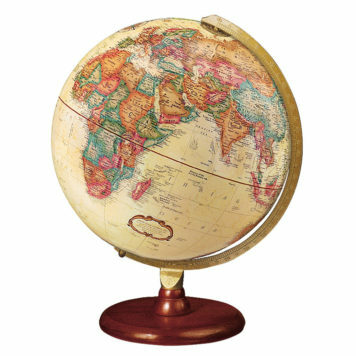 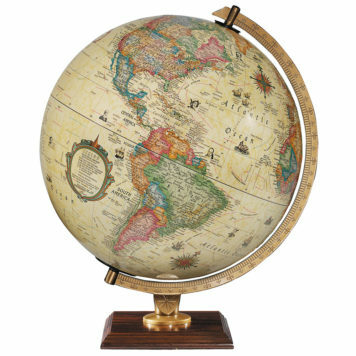 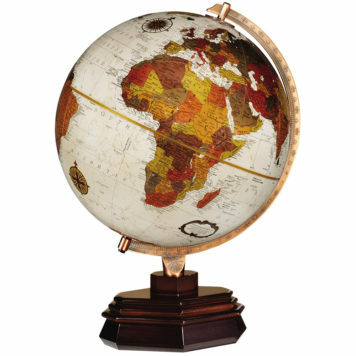 This globe stand is adapted from a large brick pedestal designed for the park. 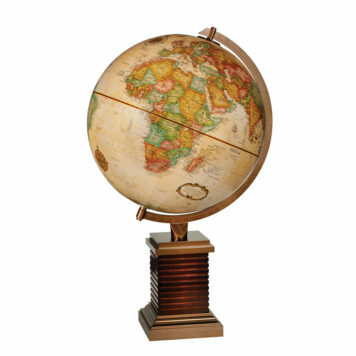 Glencoe Globe combines walnut colored stained hardwood with die-cast top and bottom plates. 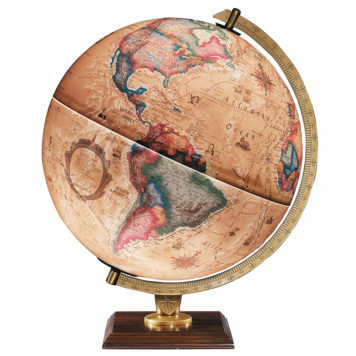 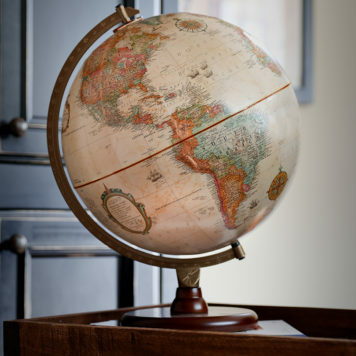 The antique map highlights Wright’s timeless design.